A badger has led German archaeologists to a stunning find of medieval warrior graves, complete with one skeleton still clutching a sword and a wearing snake-shaped buckle on his belt. Scientists are now examining the burial site where at least eight people were buried. Artist and voluntary monument maintenance man Lars Wilhelm said he was watching badgers near his home in Brandenburg, north Germany, when he realized they were digging into an ancient grave. He said he had been watching the progress of an enormous badger sett for five years. "My wife and I - we are both sculptors - wanted to put artworks in there." But this was now out of the question, he said. "The bones changed everything," he added. 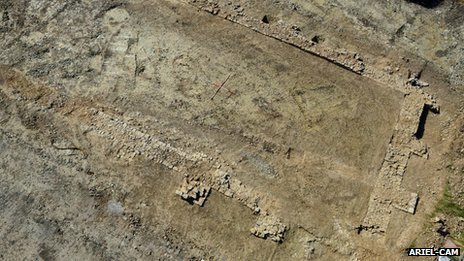 The remains of what is suspected to be a Roman temple have uncovered by archaeologists who had been searching for a lost 11th Century church. Archaeologists had been trying to find a Norman church on farmland in the Conwy Valley after baked remains became apparent during the hot summer of 2006. But as the dig got under way the team realised there was a much older building on the site. 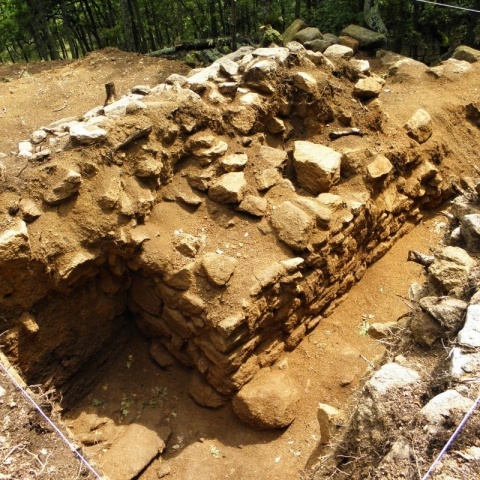 Researchers are trying to establish if it was a temple used by Roman soldiers. 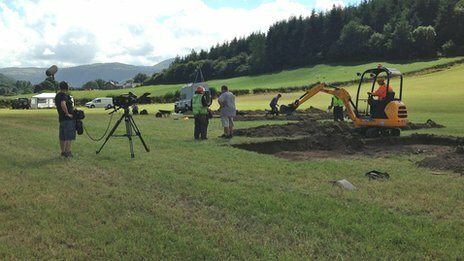 The dig, which was being filmed for a Welsh-language television series, had been to try and uncover the remains of a church but instead artefacts dating back to Roman times were unearthed. Archaeologists in Croatia have found an interesting ring from the 3rd century. 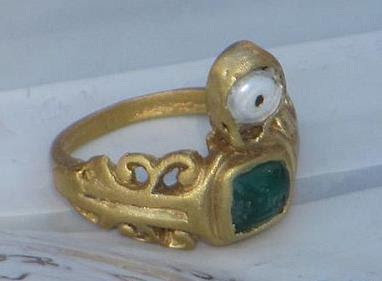 At the depth of two metres in the soil in eastern town of Vinkovci they have found the ring with an "eye" that was, according to experts, used to protect the holder from spells. Researchers have at the same place found a lot of ceramics that date from first to sixth century. "The ring has a drawn rabbit that tastes a flower and that was seen as a symbol of happiness, while the "eye" represents protection against disasters and spells", Vinkovci City Museum director Hrvoje Vulic has told to local news website Cibalia.info. The Roman emperor Commodus might have cultivated the skills showcased in Ridley Scott’s blockbuster film “Gladiator” in a personal miniature Colosseum on his estate near Rome. Archaeologists from Montclair State University, in New Jersey, believe that a large oval area with curved walls and floors made of marble is, in fact, the arena where the emperor killed wild beasts, earning the nickname “the Roman Hercules,” as recorded in historical writings. Found in Genzano, a village southeast of Rome which overlooks Lake Nemi, a crater lake in the Alban Hills, the oval structure measures 200 feet by 130 feet and dates to the 2nd century. It was found by the U.S. team as they excavated thermal baths at an estate known as the Villa of Antonines. A new book, co-authored by Dr Foard and the historian Professor Anne Curry, describes the background to the battle and the archaeological project to find out where it was actually fought. For generations it was thought that the Battle of Bosworth – which changed the course of English history - took place at a site in Leicestershire called Ambion Hill. 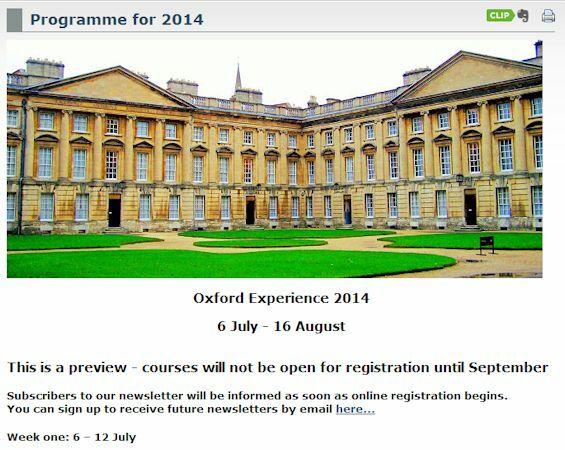 There is a battlefield heritage centre there. However, historians began to cast doubt on the traditional location for the battle. In 2005 Dr Foard was called in by the Leicestershire County Council to settle the matter. 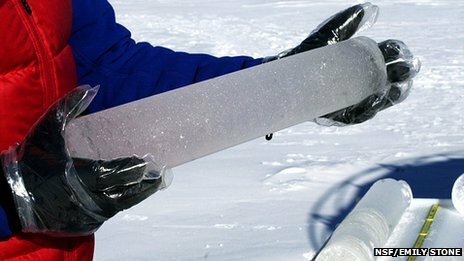 It was to be a long and difficult project but in March 2009, a single 30mm lead ball was found. Many more finds followed and Bosworth would yield more round shots than archaeological surveys on any other late medieval European battlefield. 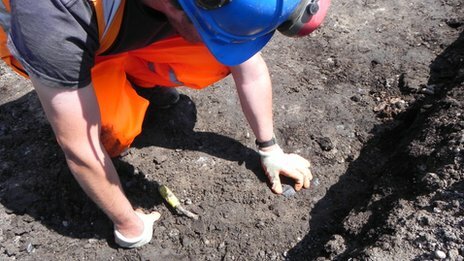 Crossrail, Britain's biggest construction project and the biggest archaeological dig in London for years, has uncovered everything from a Roman road to a 2,000-year-old horseshoe. And now the bones of long-dead Londoners have been added to the haul. And some of the archaeologists' most delicate work involves remains from the Bedlam burial ground, established in the 16th century underneath where Liverpool St station now stands. 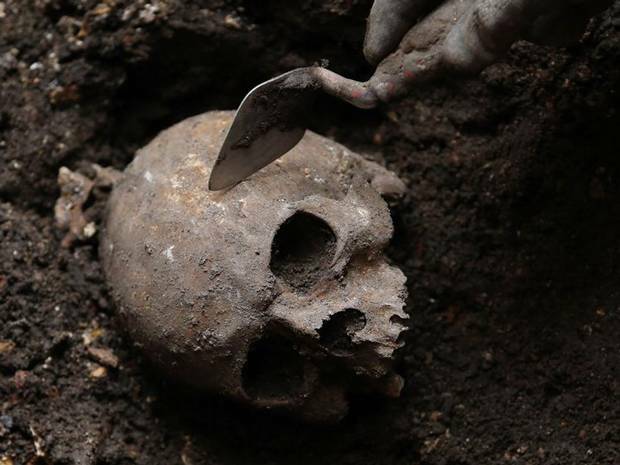 Thousands of Londoners were buried in the grounds for a period of about 150 years, from paupers to religious nonconformists to patients at the adjacent Bedlam Hospital, the world's first psychiatric asylum. Its name, a corruption of Bethlehem, became a synonym for chaos. 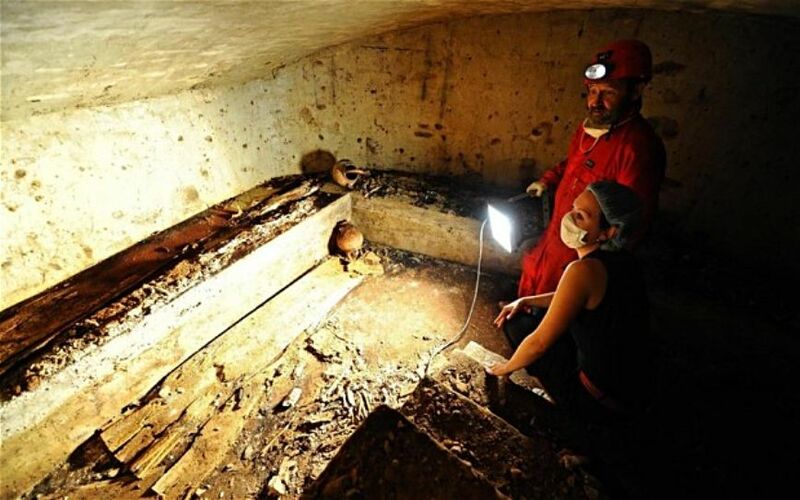 Researchers opened a centuries-old Florence tomb on Friday in a search for remains that could confirm the identity of the woman whose enigmatic smile Leonardo da Vinci immortalized in the "Mona Lisa", one of the world's most famous paintings. Theories abound about who the real Mona Lisa was, but Silvano Vinceti, a writer and researcher who heads Italy's National Committee for the Promotion of Historic and Cultural Heritage, plans to test DNA in the bones in the dank space and try to match it with those of three women buried at a convent nearby. 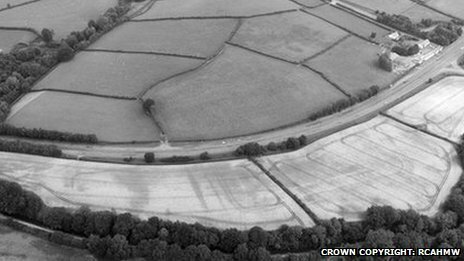 A rare Roman fort and marching camp have been discovered in Wales by aerial archaeologists during the hot summer. 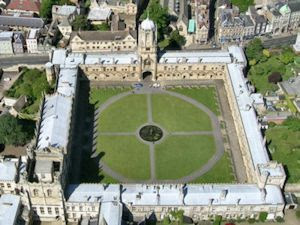 Aerial archaeologist Toby Driver said he could not believe his eyes when he spotted the fort from the air. 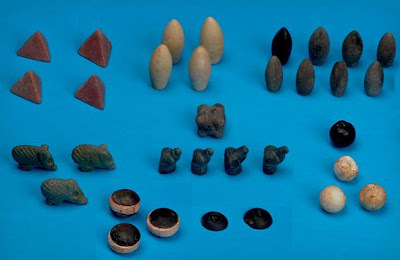 The crop of summer discoveries follow similarly exciting Bronze Age ones made during last winter's snow. This image shows the remains of a 10-13 year old child from the cemetery Lindegaarden in Ribe, Denmark. The grave is from ca. 1200-1250 and has been excavated by Sydvestjyske Museer in Ribe. Archaeologists have uncovered the remains of what they believe to be a medieval tithe barn in Warwickshire. Foundations from three sides of a stone building were found in Little Park, Southam. The excavation is being carried out on behalf of Orbit Homes, ahead of the construction of homes for the elderly plus a library and office. Tithe barns were used to store a tenth of a farmer's produce so it could be given to the Church. This could include wheat or barley. Andrew Mann, an archaeologist working on the site, said: "Tithe barns played a significant part in medieval life and the Southam barn would have been an important and prominent building in the town. 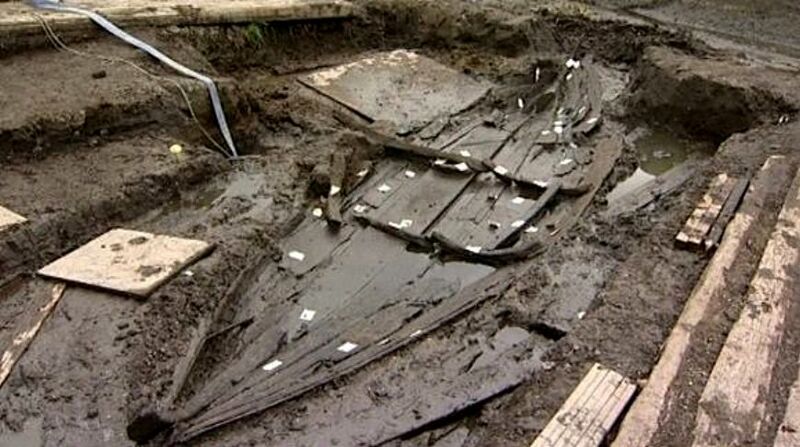 A 600-year-old medieval boat has been uncovered by archaeologists working on a flooding project in the Norfolk Broads. 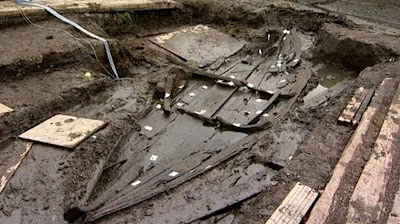 The remains of the oak timber frame boat, said to have been well-preserved, have been hailed as a 'rare and important' find by the team. The six-metre boat, thought to date back to 1400, was found by archaeologists excavating a drainage dyke along the River Chet, near Loddon. 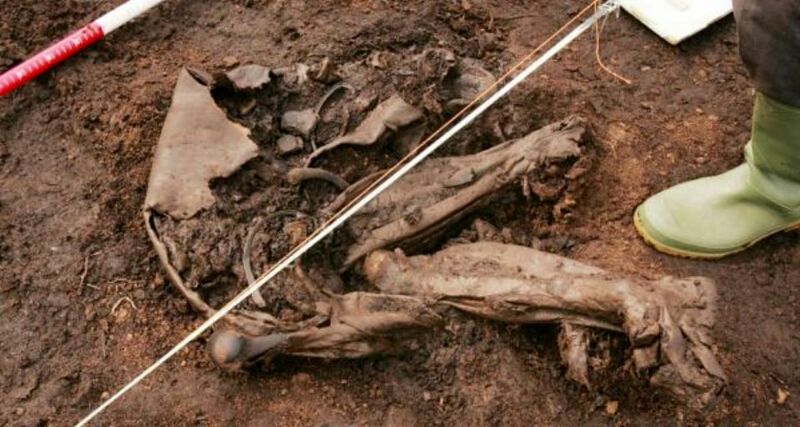 The 'significant' find contains wooden pegs, iron nails and copper alloy nails and looks to have been waterproofed with a mixture of animal hair and tar. 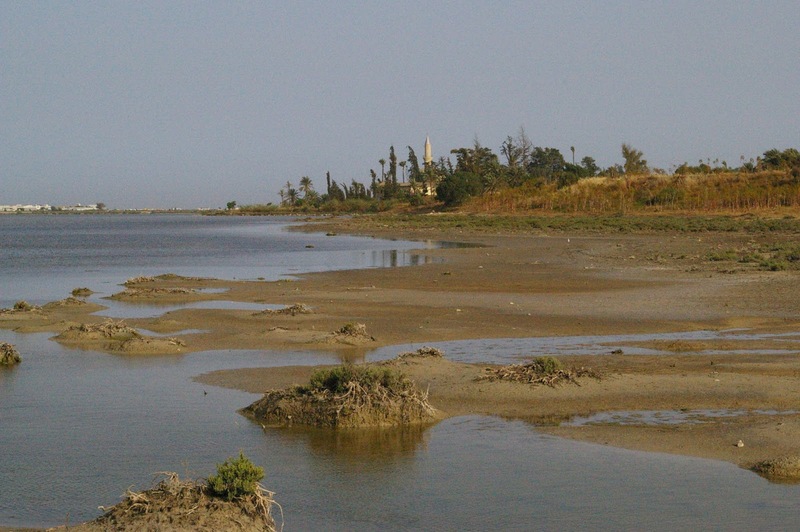 Archaeologist Heather Wallis told the BBC: 'No boats of this date have previously been found in Norfolk. 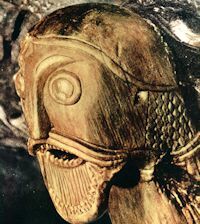 Pagan Vikings, who ransacked early Irish churches, melted and transformed sacred objects into jewellery. 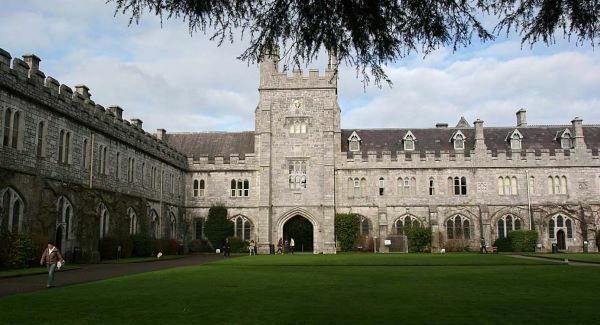 Research by a University College Cork scholar has made new discoveries about the “Viking loot” from Ireland. He traced how sacred objects were turned into jewellery by Vikings in Norway, Sweden and other Scandinavian countries. There are no plans, however, to seek to have returned to Ireland the crosiers that were turned into brooches and chalices that became jewellery boxes, ransacked over two centuries from the “soft targets” of the churches. However Dr Griffin Murray of the Department of Archaeology at UCC will tell an international Viking Conference in Shetland this week that he would like to see Irish treasures “taken by the armful” returned in the form of a temporary exhibition. 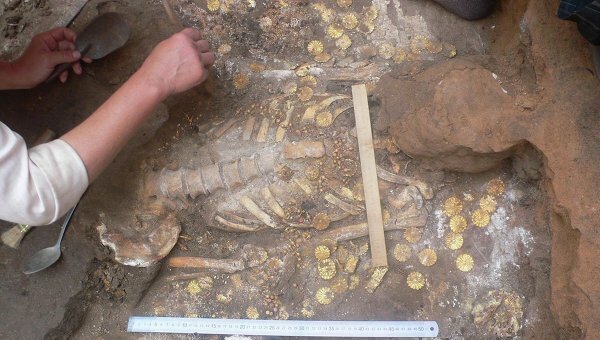 Archaeologists have uncovered the remains of what they believe to be a medieval tithe barn in Warwickshire. Foundations from three sides of a stone building were found in Little Park, Southam. Tithe barns were used to store a tenth of a farmer's produce so it could be given to the Church. This could include wheat or barley. 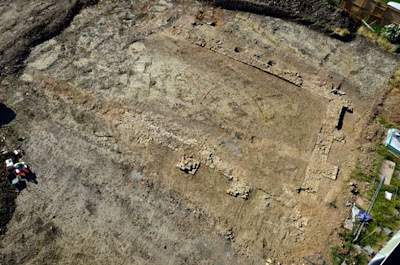 A team of Bulgarian archeologists led by Dr. Ivan Hristov has discovered an unusually large votive relief of the ancient Greek God Zeus near the Bulgarian village of Starosel. The archeological team uncovered the votive relief which was much bigger than the ordinary ones and thus it was allegedly the center part of an ancient temple. A large rock eagle appeared flying round when the archeological team was about to uncover the artifact. As the ancient Greek god Zeus was commonly featured as a rock eagle, some of the archeologists jokingly concluded that god Zeus should have come to look over his sanctuary. 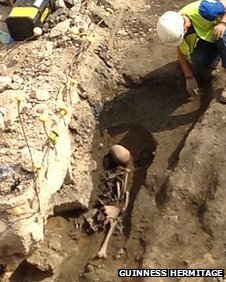 About 40 skeletons have been uncovered by archaeologists at the site of a Roman cemetery in Gloucester. The discovery was made during a dig at the former Gloscat site at Greyfriars in Brunswick Road, ahead of a housing development being built. 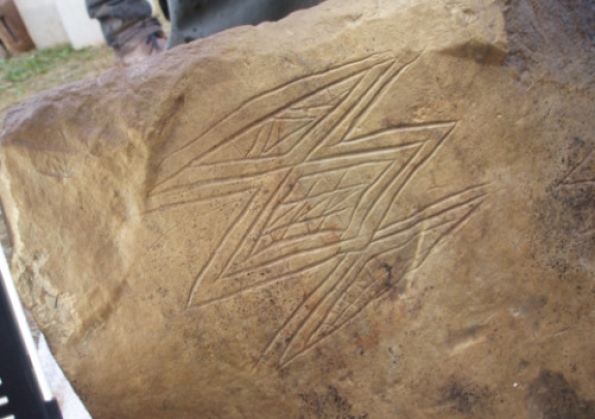 It has been described as one of the most significant archaeological finds in the city in the past 30 years. 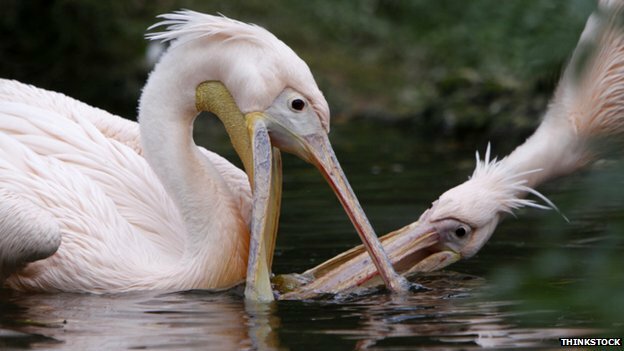 The skeletons could end up in the care of Gloucester museum after scientific tests have been carried out.